Hagerty, classic car insurance company and price guide publisher, launched a new marketplace rating tool Monday. In a news release, Hagerty said the Hagerty Market Racing is based on a weighted algorithm that considers 15 proprietary data points in eight categories, including public auction and private sales, values of insured cars, price-guide values, Hagerty’s own index system and input from industry experts. 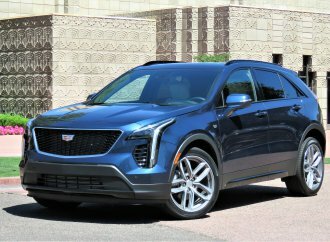 “The key differentiator,” said Hagerty chief executive McKeel Hagerty, “is that the Hagerty Market Rating isn’t based simply on public data like auction sales, which only make up 3 percent of the annual transactions in the classic car world. A large component of this rating is based on private-owner-to-private-owner sales, which is the most elusive and difficult data to obtain. 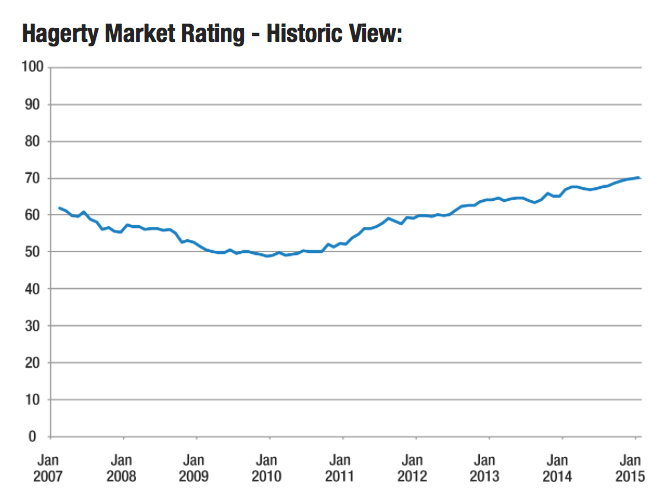 The Hagerty Market Ratings is displayed like a tachometer, even with a redline-style danger zone in which the market may be overheated. Ratings in the 40-50 rage indicate a flat market, 60-75 shows peak performance in the system but numbers more than 80 indicate a state of “hyper-demand, marked by rapidly increasing prices and volume that could indicate a bubble market in the making,” the company said in its news release. Hagerty went back and applied its formulas to the classic car marketplace since January 2007. A chart (right) of those figures show the market slumping during the recession (dropping from better than 60 to less than 50) and its continuing recovery starting in 2011. 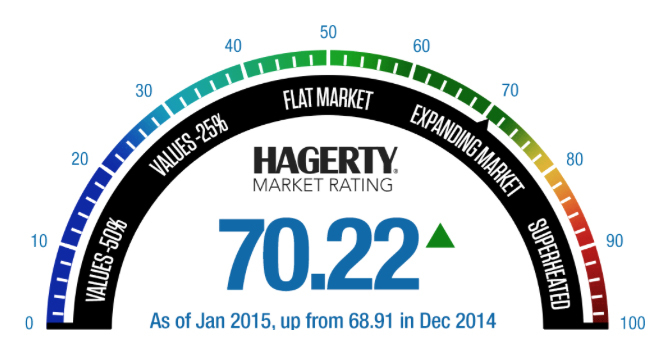 Hagerty rated the marketplace at 68.91 for December 2014, and sees it currently at 70.22, which means it is continuing to expand. Hagerty will update the index and provide commentary on a monthly basis and will make it available to the financial services industry, such as Bloomberg.